Create, scale, and integrate automated tests in minutes. Creating robust automated tests is codeless and scriptless. Testing infrastructure is fully managed in the cloud. Scale tests infinitely and run them all in parallel. Auto-healing tests adapt to UI changes without intervention. mabl harvests numerous identifiers from elements in the DOM, and uses this data to make your automated tests resilient to changes to the UI. 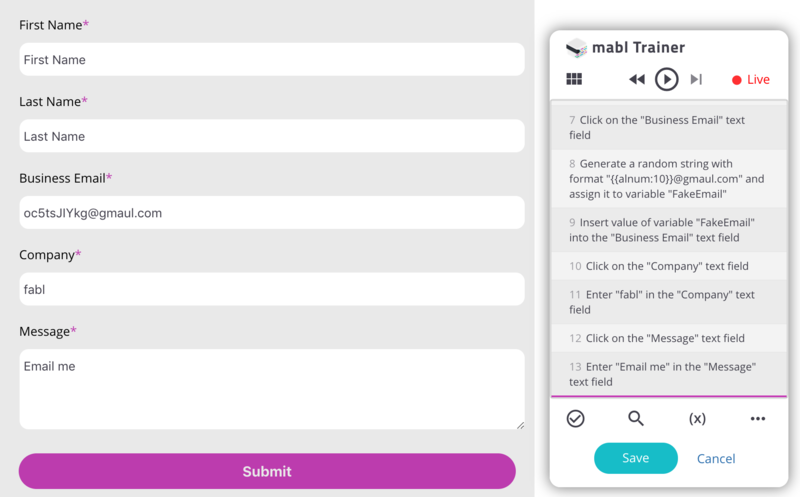 Use your app like your users would, and the mabl Trainer browser extension will track your user interactions to create a test. Share test output details with developers and others on the project, or give them the ability to create their own tests in your workspace.